It is used to punch holes on both inner tank & outer tank. Adopting Germany Rexroch system,punching & flanging at same time. 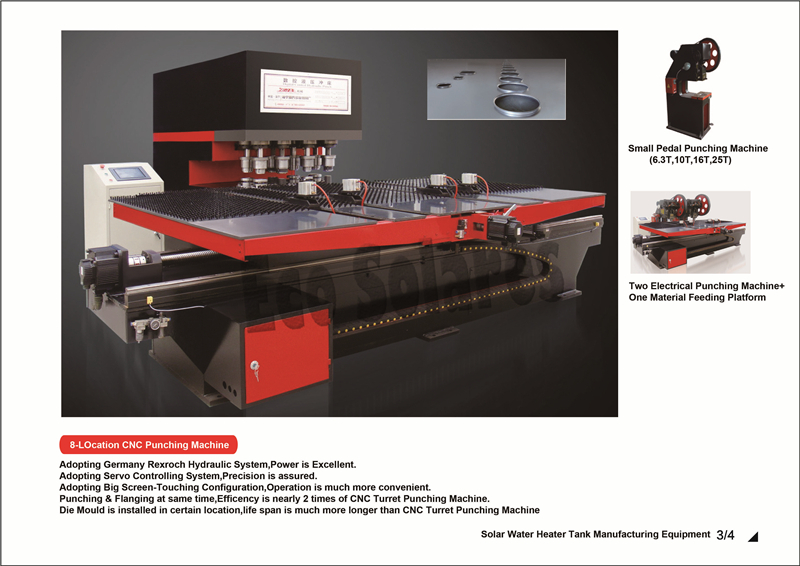 Efficiency is nearly 2 times of Turret CNC Punching Machine.